The Disney classics were a part of everyone’s childhood. Whether your favorite was the classic princess story, Cinderella, or an iconic movie like The Jungle Book, chances are Disney has created (or is planning on making) a live-action version based on the original film. In 2019 alone, Disney is set to release multiple live-action remakes of these classics, such as The Lion King, Dumbo, and Aladdin. Ever since its animated release in 1992 and Broadway debut in 2014, the hype surrounding Aladdin has not died down. Most recently, the trailer for the live-action version was released and truly holds up to the original version we all watched as children. The trailer focuses on one of the most important and memorable scenes; Aladdin waiting by the mouth of the huge tiger cave that tries to measure Aladdin's worthiness to enter the chamber to retrieve the lamp for Jafar, who has tricked him into doing so because he knows that there is a chance the man doesn't make it out alive. The trailer also reveals Will Smith as the sassy, quick-witted Genie. Based on the two-and-a-half minute long trailer, the live-action version seems to be almost exactly the same as original story, ultimately allowing the audience to hear snippets of the movie score and scenes of the empty dunes on the outskirts of Agrabah. Aladdin is set to release in theatres on May 24, 2019. Disney has also released The Lion King release date, July 19, 2019, and the Dumbo release date, March 29, 2019. There have also been hints about another princess movie remake of Mulan (2020). 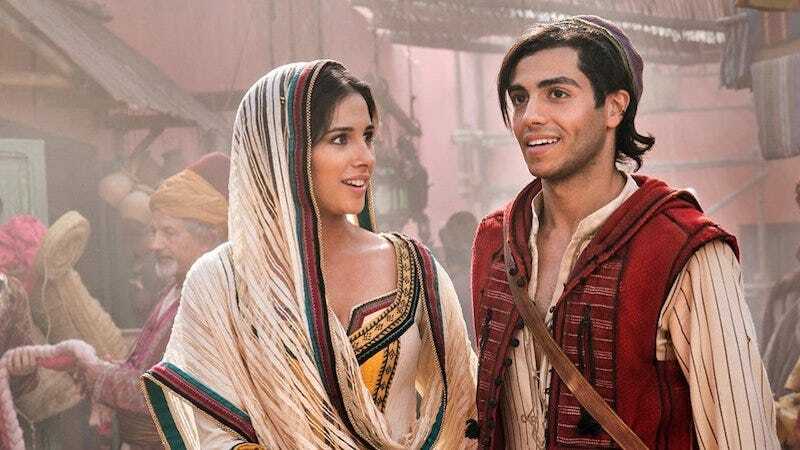 A plethora of new magical live action films are going to be flooding theatres this coming year, and you should make Aladdin one of your top priorities to watch if you are a fan of the animated and broadway versions.